One News Page United States > News Videos > Is Ronda Rousey Taking A Hiatus From WWE? Is Ronda Rousey Taking A Hiatus From WWE? Back in January Wrestling Observer reported that Ronda Rousey was looking to take time off from the WWE after WrestleMania 35 to work on starting a family. At the time, Rousey told ESPN that the reports were false. According to comicbook.com, Rousey first debuted for the WWE in January 2018 at the Royal Rumble event on a reportedly multi-year contract. But on Monday she took to Twitter with a photo of herself and husband Travis Browne along with the hashtag &quot;ImpregnationVacation,&quot; fueling further speculation that she might be planning to throw in the towel for a while. View this post on Instagram???? 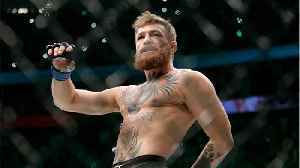 #impregnationvacationA post shared by rondarousey (@rondarousey) on Apr 15, 2019 at 1:27pm PDTFor months reports have swirled around for UFC and Raw Women's Champion..
Is Conor McGregor 'Too Small' To be WWE Champion? Recently retired from MMA, Conor McGregor's name continues to come up as someone who could sign on for an appearance with WWE at some point in the future. Ken Shamrock, Dan Severn, Brock Lesnar, Bobby..
WrestleMania 35 will mark the first time a women's match will headline the main event. WWE superstar The Miz says that the sport's women have done more than enough to earn the coveted spot and that..
Becky Lynch, a tough-talking Irishwoman with a steampunk dress sense, has steamrolled her way through WWE opponents and into the hearts of fans. She became a double champion at WrestleMania 35 on..
Why Is Becky Lynch Is Calling Out Ronda Rousey Ahead Of Wrestlemania 35?